GALAX proudly presents its next-generation GALAX OC Lab Edition graphics card, memory and GPU pot that’s specially engineered for extreme overclocking. These are the GALAX GeForce RTX 2080Ti HOF OC Lab Edition Graphics Card, GALAX HOF Extreme OC Lab Edition DDR4-4600 16GB Memory Kit, and the new GALAX HOF OC Lab Edition GPU POT for the new NVIDIA Turing-based GALAX HOF OC Lab Edition RTX 2080 Ti GPU. The GALAX GeForce RTX 2080Ti HOF OC Lab Edition is the new flagship graphics card in the new generation based on the NVIDIA Turing architecture. It is built for extreme overclocking with its full cover water block by Bitspower. It packs a base clock of 1350MHz with a factory overclocked boost clock of 1680MHz, 55MHz higher than the GeForce RTX 2080 Ti Founders Edition graphics card. The GALAX GeForce RTX 2080Ti HOF OC Lab Edition has an MSRP of $1,799.99USD which is available for pre-order today, shipping starts on October 19, 2018. 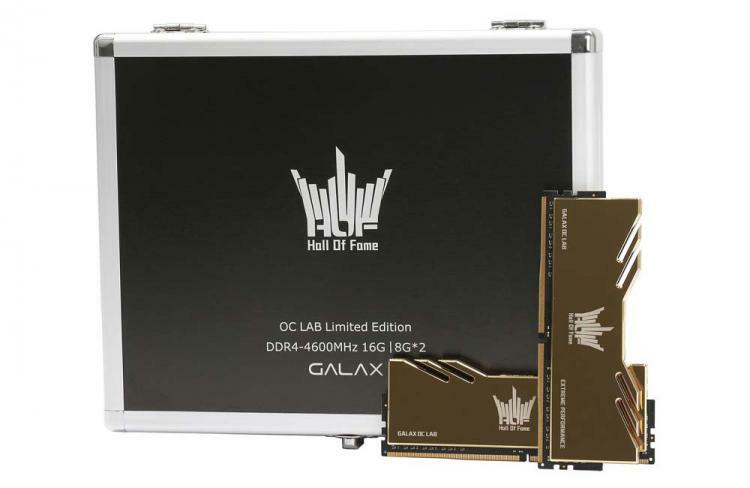 The GALAX HOF Extreme OC Lab Edition DDR4-4600MHz 16GB Kit memory kit is also the new flagship overclocking memory of GALAX. It uses premium Samsung B-DIE DRAM IC that offers the highest overclocking potential. The memory module features a 10-layer PCB that has been fine-tuned for the best electrical layout and signal accuracy. It comes with an EXTREME gold-plated mirror heat sink that guarantees fast heat dissipation for greater stability. The GALAX HOF Extreme OC Lab Edition DDR4-4600MHz 16GB Kit memory is now available for pre-order with an MSRP of $499.99USD, shipping starts on October 19, 2018. 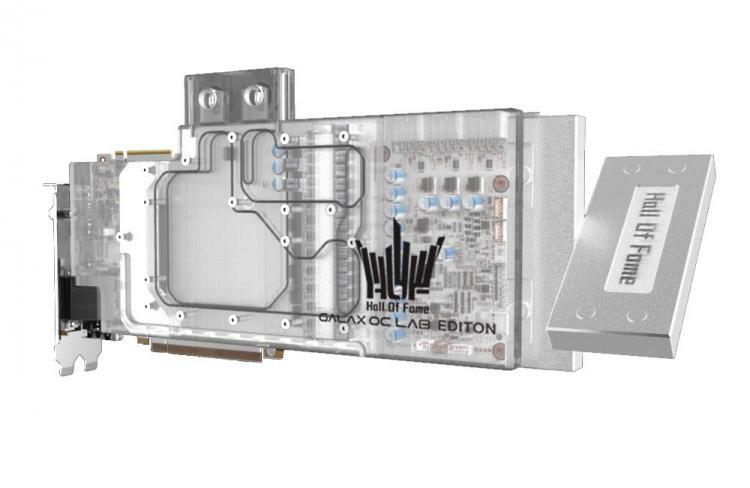 The new GALAX HOF OC Lab Edition GPU Pot is specifically designed for extreme cooling of the new GALAX GeForce RTX 2080Ti HOF OC Lab Edition graphics card. 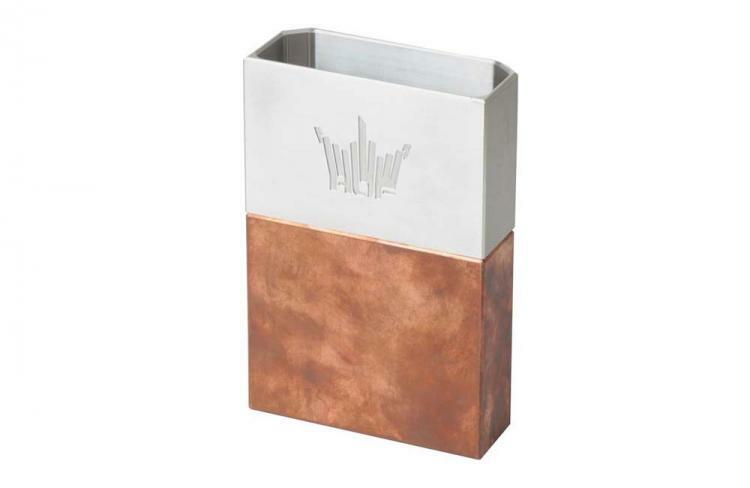 GALAX HOF VGA LN2 POT is made of 99.9% copper material. It can quickly cool the graphics card and withstand the temperature of LN2 up to -196C. 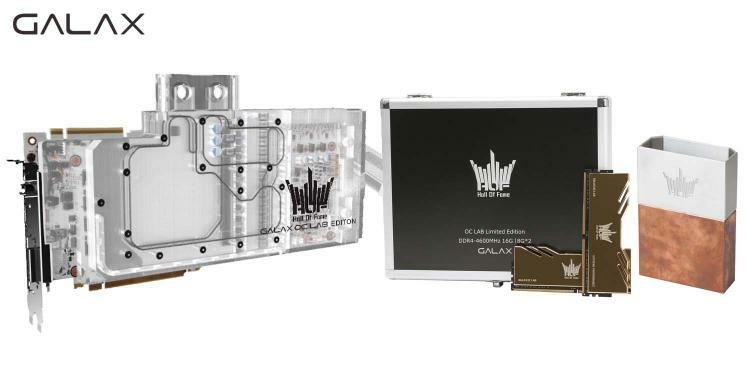 The new GALAX HOF OC Lab Edition GPU Pot is now available for pre-order with an MSRP of $229.99USD, shipping starts on October 19, 2018.